Maid2Go Cleaning is a team of trained cleaning professionals in Sydney that equipped to handle people’s cleaning needs on a daily, weekly, bi-weekly or monthly basis. At Maid2go Cleaning, we know part of living a healthy lifestyle is maintaining a clean environment and that’s why we committed to provide the best cleaning services in Sydney. Coming home to a clean kitchen, living room and bed room is a perfect way to relax after a long day! How to obtain this? Here we give perfect cleaning services in Sydney just right what you need. Guaranteed happiness is waiting for you and the whole family. All offered services come with the Maid2go guarantee. If you’re not completely satisfied with the assistance, let us know and we’ll come back and redo it for free! Cleaning Service is here in order to prove that housekeeping is an easy task. We embrace the fact that our mother earth deserves to be clean, safe, healthy, and happy, that is why we promote a more eco-friendly way of achieving this. Start cleaning your home, office, or any place you are in with the help of our services. With our team consisting of hard-working individuals and expert professionals, we guarantee you a one of a kind cleaning service that is incomparable. We focus on providing an all-in-one online booking experience, top-notch customer satisfaction with the manpower of all the quality cleaners. Book your service now with Maid2go and see the result in just few hours. We’ll go above and beyond your expectation. Just relax and wait because we will bring certified happiness to your home. We’re different from your typical home cleaning company. We’re out to create magic. The goal is to WOW you with outstanding treatment. We serve customers with passion and integrity. Trust us and we’ll godly satisfy you. Without spending any time on nonsense things, a highly reliable and efficient cleaning service like us can be booked in under a minute! Our online booking process is incredibly simple and straight to the point so you can schedule services anytime hassles free. If you’re not completely satisfied with the result, let us know so we’ll come back to your house and sort it out for free! So, what are you waiting for? Book with us now! Our customers are recommending us to other people because we really give a nice service. We combine hard work and confidence with professional skills and quality cleaning tools to deliver one of a kind cleaning result! All our cleaners are reliable, perfectionists, and meticulous with years of experience in the sanitation field. Our top priority is the quality of service and cleanliness of the area. We also want you to be satisfied in order to book with us again. What makes Maid2go different from other service? We offer a professional service, making your housekeeping task an easy one! We are more inclined towards creating a sustainable environment, hence we use only eco-friendly products to clean any spaces. Our team comprises of hard-working individuals, who are experts in cleaning. Hence, we guarantee a one of a kind cleaning house cleaning services in Sydney, which is incomparable with other services. Our main focus is to gain, top-notch customer satisfaction, with our quality cleaning. The goal is to WOW you, with our outstanding treatment. Should I stay back at home, when you clean? Well, it is not mandatory that you need to be at home during our home cleaning services in Sydney, even though you are welcome to be! A few customers prefer doing the cleaning while they are away for the day, whereas some like to be at home while during the process. This is purely up to you to decide. 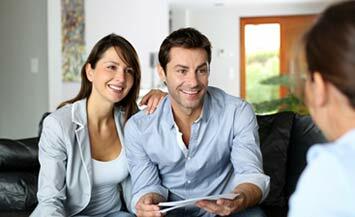 Usually, most of our customers vest us with the key to their home and we do the cleaning with utmost care. Should I do anything before you arrive for the cleaning services Sydney? The best way to prepare for the cleaning services is to straighten up and remove any items that will delay our cleaning professionals in cleaning your home. 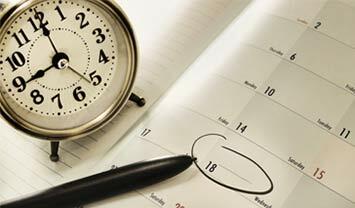 This will minimise the time we spend on cleaning your home. We request you to keep your kids and your treasures safe and supervise them during our work process. It is because, though we use only environmentally safe products, we don’t wish that any accidents damage your precious materials. Likewise, please secure your pets in an appropriate place so that they do not disturb our work. Also, we ask that we have access to your home’s key and your alarm system deactivated during our home cleaning services in Sydney. Can I trust the people you send to my home for the cleaning services? At Maid2go, every employee undergoes a rigorous screening process, which includes an extreme criminal background check! Moreover, all our staffs that are committed to cleaning are reliable and meticulous with many years of experience in the area of sanitation. They are also fully insured and bonded. With their height of loyalty and trustworthy, they are devoted to provide happy homes. Now days, most of our customers are recommending our services to other people, as we give a nice service, depicting our professional skills and quality cleaning tools. We aim to ensure satisfaction to our customers, so that they book with us again for their cleaning services in Sydney. Do you use eco-friendly products for the cleaning services? Yes, we care for the nature and strive to develop a sustainable environment. Hence, we use only eco-friendly cleaning products that are safe on your family and pets during house cleaning in Sydney. Moreover, our professional cleaners are trained on how to use the products effectively so that it does not exhibit any decrease in quality than a standard chemical cleaner. 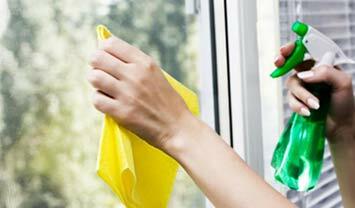 How Can I Get The Most Value Out Of My House Cleaning Service Sydney? Most people assume that they have to have their entire home detailed, spending a hefty amount on the house cleaning services in Sydney, but the reality is, you don’t have to get everything done! Most people are terrified of cleaning a specific area in their home that will annoy them most than any other cleaning tasks. In that case, you just have to get those areas done, which will cost you more reasonable, saving more on the cleaning expenses. The other ways that you can get value is – narrow down your list of cleaning, to the areas that have not been cleaned during sometime, also, start with a low budget, and work your way up, if necessary.